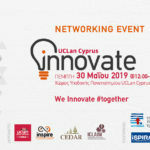 Further to high demand for our VAT Course, EY Cyprus will be presenting this active learning session on the practical application of the VAT provisions, this time at UCLan Cyprus premises. 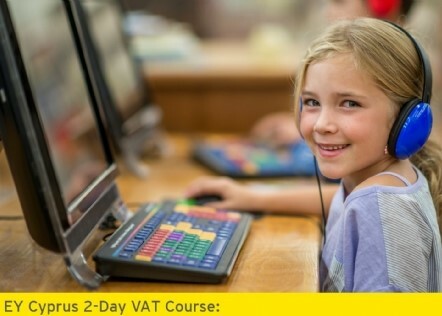 The training program aims to equip corporate leadership and Finance teams with the necessary VAT knowledge and skills so that correct application is followed in day to day VAT functions and VAT saving opportunities utilised. Regardless, high calibre of finance, legal officers or tax professionals specialising in various fields of accountancy and taxation, the evolving nature of VAT legislation, frequent case law and Tax Department practice updates requires adequate training and knowledge upgrade in a common manner. There is a need for leading Finance Teams to adapt their know-how on all relevant aspects of the VAT Law including neglected contractual VAT positioning. The increase in technical complexity, need for legal and contractual protection of the majority of industries as well as the dynamic nature of the VAT legislation make necessary targeted training where VAT application is interactively explained, tested and certified. During the session, the major provisions of the VAT legislation will be analysed from a tax practical and legal angle to provide to the participants a level of comfort that the VAT principles are comprehensively applied. VAT practice will be demonstrated through real case examples and frequently seen scenarios including pitfalls and principles identified in Circulars, domestic and EU case-law. Participants will have the opportunity to test on the spot their knowledge and deliberate on a sample of transactions through the use of technology. Recognise application of recent VAT updates. Apply practically VAT legislative amendments and Cyprus Tax Department guidance though invoicing and VAT returns accounting. Resolve queries on various fields of VAT and pursue correct application in invoicing and contractual arrangements. Enhance their knowledge practicability in relation to the operation of the VAT system and its effect in their company operations. 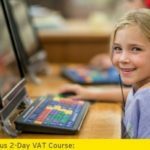 Clarify the situations where VAT coaching is needed and obtain guidance on principles application. Define the impact of VAT amendments and being able to design appropriate interventions concerning the Finance systems and processes followed. Identify the dynamic nature of VAT legislation and be able to upgrade their knowledge real-time with relevant application in the Company’s VAT positioning. For more information about the seminar and the full program, please click here. 14 Units will be provided and certificates for attendance.